This spectacular property is definitely a ''MUST SEE!'' Beautiful courtyard barn located in Palm Beach Point East. Hacking distance to WEF. 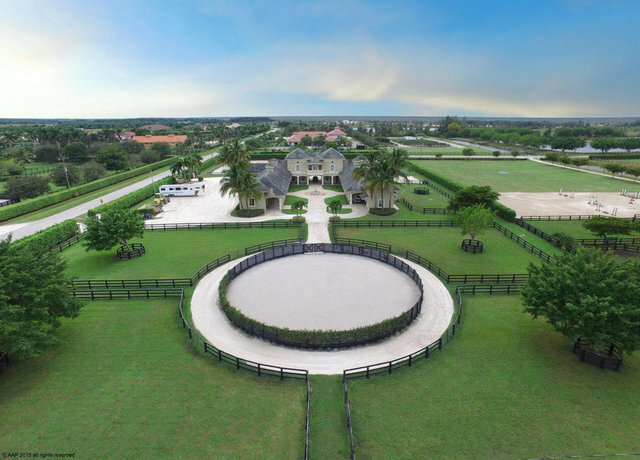 The property includes 5 Paddocks and an All Weather Footing Ring and Lunging Circle. There are 2-One bedroom grooms apartments and 1 upstairs 3bed/3bath owners or managers penthouse. Tackroom, Office and Garage. Lots of storage. This Barn is designed to be great to work in and easy to maintain!